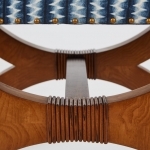 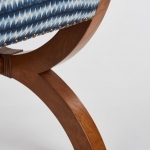 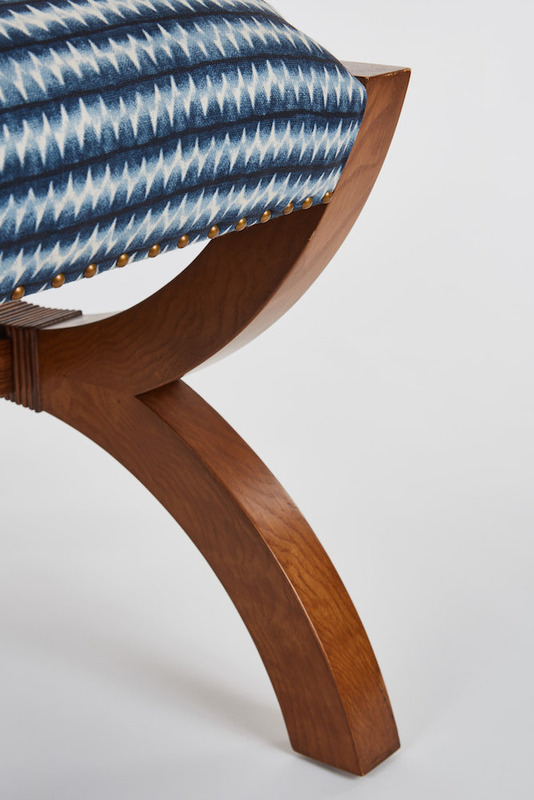 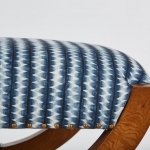 Leelee bench, designed by Kristen Buckingham. 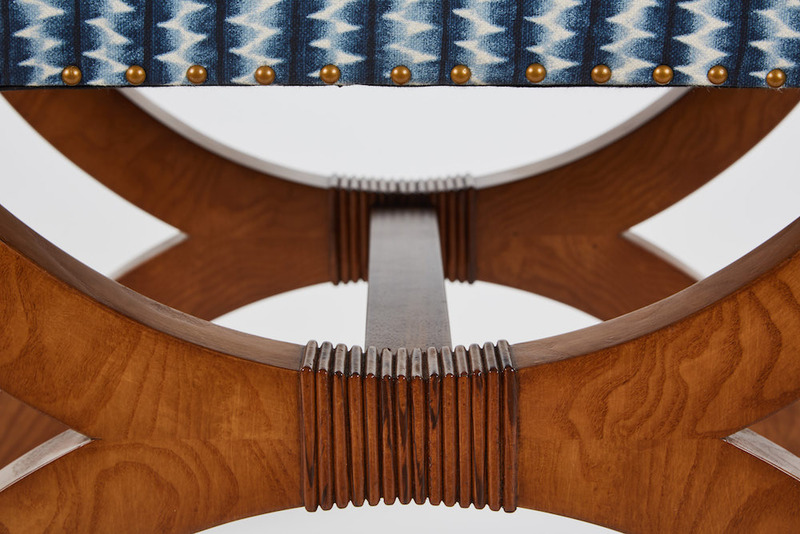 Features a carved wood rope detailing, brass nail heads, and olive ash burl veneers. 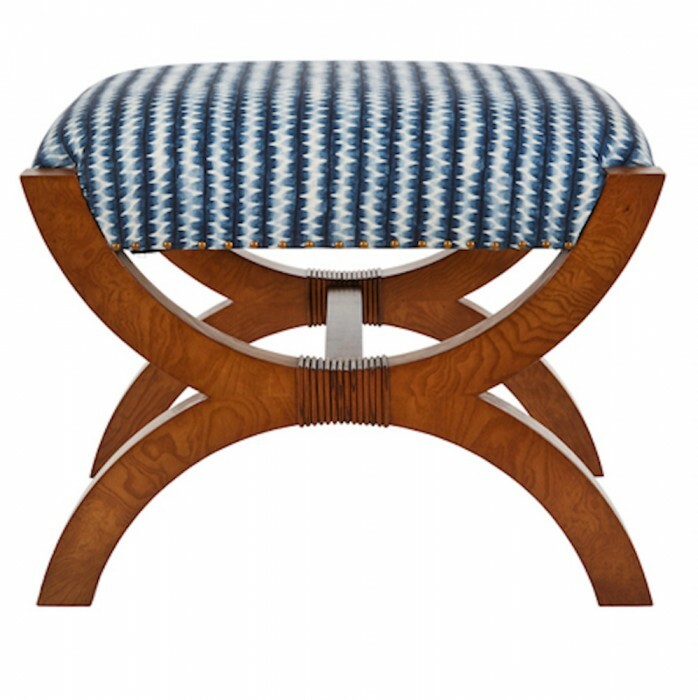 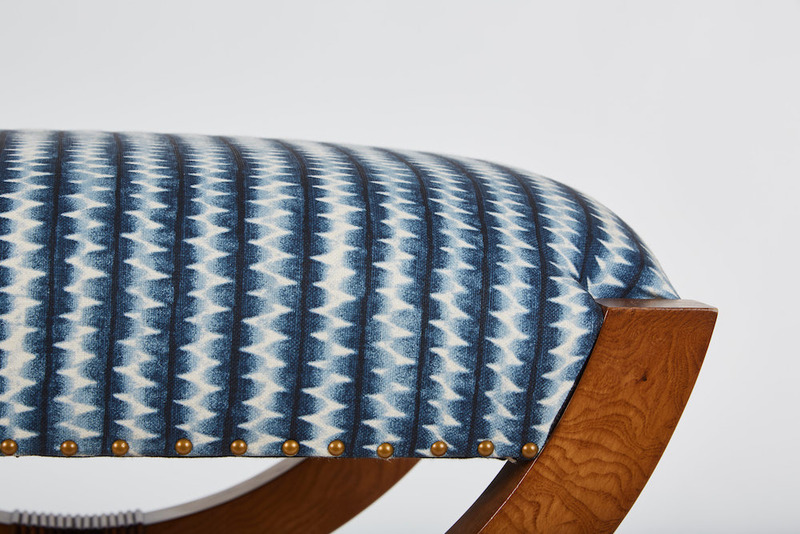 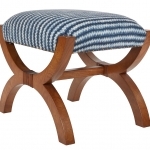 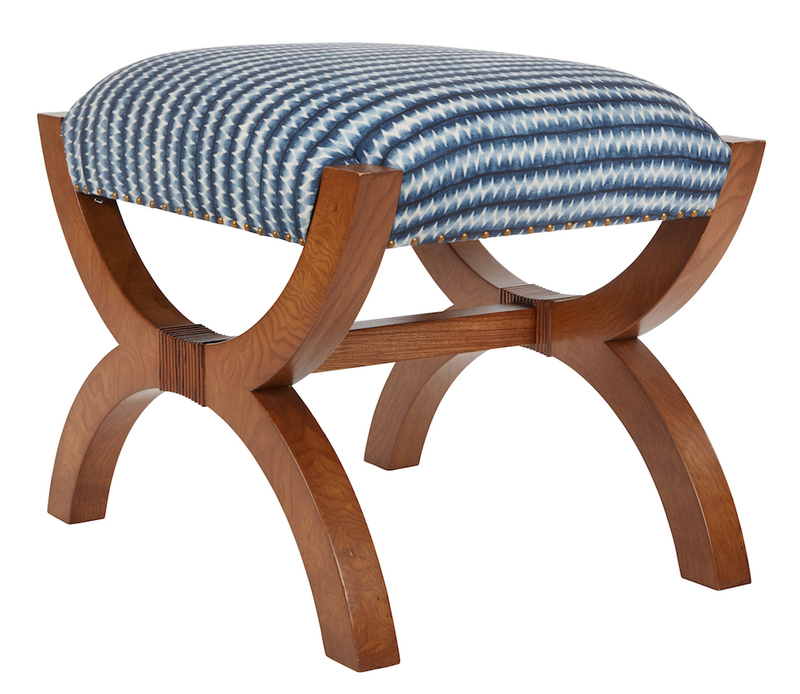 Shown upholstered in KB Textiles Fez Indigo.